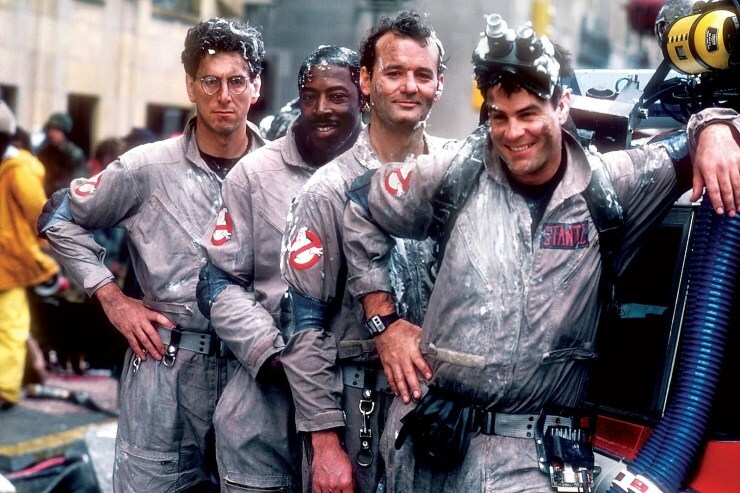 Jason Reitman will direct and co-write a 'Ghostbusters II' sequel – AiPT! Whether Hawkeye or Ronin -- does the Avengers' Clint Barton have a literal eagle eye? Scared Stiff (1987; United States) Review: Did I miss something? On the Trail of Bigfoot Review (Episodes 3 & 4): Behavior, geographical differences, and wormholes? Sony Pictures says the sequel will drop in summer 2020.
Who ya gonna call? GHOSTBUSTERS! According to EW, Jason Reitman, the son to Ghostbusters (1984) director Ivan Reitman, will direct and co-write a new Ghostbusters film. Interestingly, it’s set to be a sequel to Ghostbusters II rather than the 2016 reboot. Jason recently directed Hugh Jackman film The Front Runner, which he’d also written. Jason Reitman said ”I’ve always thought of myself as the first Ghostbusters fan, when I was a 6-year old visiting the set. I wanted to make a movie for all the other fans. This is the next chapter in the original franchise. It is not a reboot. What happened in the ’80s happened in the ’80s, and this is set in the present day”. Sony Pictures says the sequel will drop in summer 2020, with plans to start shooting in a few months. Reitman continued ”This is very early, and I want the film to unwrap like a present. We have a lot of wonderful surprises and new characters for the audience to meet”. His father will produce the new film. Ivan said ”It will be a passing of the torch both inside and out”, and on his son, said ”It was a decision he had to come to himself. He worked really hard to be independent and developed a wonderful career of his own”. ”So I was quite surprised when he came to me with Gil (Kenan) and said, ‘I know I’ve been saying for 10 years I’m the last person who should make a Ghostbusters movie, but… I have this idea’. Literally, I was crying by the end of it, it was so emotional and funny”. Sony is also developing an animated Ghostbusters film, set to release after this one, with a different team involved. Says Jason, ”The Ghostbusters universe is big enough to hold a lot of different stories”.